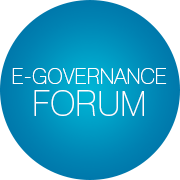 On November 25, 2016, Lviv (Ukraine) hosted 451°E – an all-Ukrainian e-government forum. 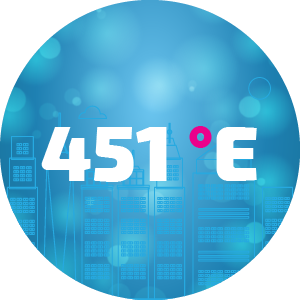 Organized by Lviv City Council and SmartLviv foundation with support by SAP, MasterCard, Kyivstar, DeNovo and other Ukrainian and international companies, 451°E is one of the most important events in Ukraine, dedicated to reforms, digitalization, and innovations. Lyubomyr Boychuck, Infopulse VP of Business Development was a speaker at the event and talked about Infopulse’s experience of implementing the online citizen cabinet for the City of Lviv. Top-8 cases of successful implementation of solutions by Ukrainian cities, and others. Let’s have a closer look at specific cases and recent trends in all-state multilevel reforms, currently implemented in Ukraine. In the last few years, Ukraine has become one of the leading technological countries by introducing innovations and digitalization on many levels. The year of 2016 saw a significant expansion of e-government projects in Ukraine. United Nations E-Government Survey 2016 showed that out of 193 countries Ukraine was ranked 62nd in the EGDI and 32nd in the E-participation Index, making a significant progress in just 2 years. According to Mr. Sergiy Frantsishko, Mastercard Ukraine VP Business Development, Ukraine was one of the first countries in the world to launch contactless payments for public transportation, with Kyiv being the 5th city after London, St.Petersburg, Chicago and Bucharest. Ukraine is actively getting ready to adopt Blockchain technology for e-gov projects. E.g., the National Bank of Ukraine has recently presented the Cashless Economy roadmap with plans to use Blockchain as the basis for electronic money. Another example is using Blockchain for decentralized and transparent electronic elections – an e-Vox platform has already been trial-tested in several Ukrainian cities. Mass production of biometric ID Cards with microchips that allow storing personal data, and thus replacing legacy paper internal passports. The rapid expansion of 3G connectivity in most Ukrainian cities covering 50% of the population and ongoing implementation of preliminary works to prepare for the launch of 4G (LTE) by 2018. Adoption of the bill on Electronic Trust Services (such as BankID and Mobile ID). A bill on governmental adoption of cloud technologies. The launch of the National Centre for Cybersecurity and adoption of a bill on the principles of country’s cyberspace protection. A bill on removing artificial regulatory barriers for the export of services. A bill on the elimination of the tax militia, largely supported by the IMF, and tax system simplification. All these achievements prove that Ukraine is not lagging behind and that there is a large room for innovations and investments. Mr. Andriy Sadovyi, Lviv City Mayor, laid a strong emphasis on the value of human capital as all reforms and activities would be impossible without people. Public initiatives and startups are now receiving a growing support from both the privately held companies and the government. Such projects as E-Auction3.0 (a Blockchain-based auction), Navizor.com (online service for road quality monitoring), Digital Police (a public safety and security analytics app) and uMuni (a smart-city platform) are currently being actively developed and implemented. Another example of a similar initiative is Lviv Citizen Online Portal developed by Infopulse, ICT Competence Center, and DeNovo Data Center. The Citizen Portal provides access to various public and social e-services, with secure authentication via BankID and Mobile ID. According to Mr. Lybomyr Boychuk, Infopulse VP of Business Development, Lviv was one of the first cities in Ukraine to launch this kind of public services. As of the end of 2016, each 4th Lviv citizen uses public services online. In its turn, implementation of online citizens’ services is beneficial to the financing of public initiatives as it opens a room for citizens to city budget management. In 2016, 23,000 people voted for public initiatives online, with at least 17,000 citizens voting through BankID. E.g., during IT Arena Forum, a Lviv district, requiring modernization, was selected via an online poll and received a backup of approx. 20 million UAH from the city budget. An example of IT Arena Forum shows how hackathons, IT forums, and other events are beneficial not only for the IT industry development but also for the improvement of life quality and the investment climate. When it comes to the smart cities development, such events serve as ideas aggregators, attracting local and international companies, startups, activists and the public at large. Yet, with each new success comes a challenge. According to a dedicated report by PwC, mentioned during the forum, 1 billion of a company income results in at least 3 billion of Gross National Income. With Ukraine’s IT Industry being one of the strongest in Europe, further development of the industry and e-government adoption became top priorities for Ukraine. One of the major steps to be taken in the nearest future is to facilitate the introduction of the new technologies on a state level. For that, a 5 to 10 years state plan of the IT industry development will be designed, supported by a number of state and public institutions. E.g, European Business Association will leverage cooperation between government and IT industry, assuring investment climate predictability for the next 10-15 years on a legislative level. According to Mr. Volodymyr Stavniuk, Head of the Board of State Finance Institution for Innonvations, Ukraine is indeed popular among foreign businesses and they have full legislative support from SFFI. Mr. Giorgi Vashadze, Founder of Innovation and Development Foundation, a non-state platform for innovations, discussed the importance of building a proper ecosystem for the businesses and improving related laws and regulations. New technologies, like Blockchain, help fighting monopolization and corruption by removing intermediaries and central authorities. We see that many important projects are currently being implemented across Ukrainian cities. While local changes and efforts are already in place, now it’s time for a more comprehensive approach. Reforms in Ukraine are only gathering pace, and the progress is already noticeable. In the next several years, we expect to see more and more e-government projects realized, budgets allocated, and startups launched in Ukraine to accelerate the digitalization of the public sector services, as Ukraine has embarked on the path of innovations.